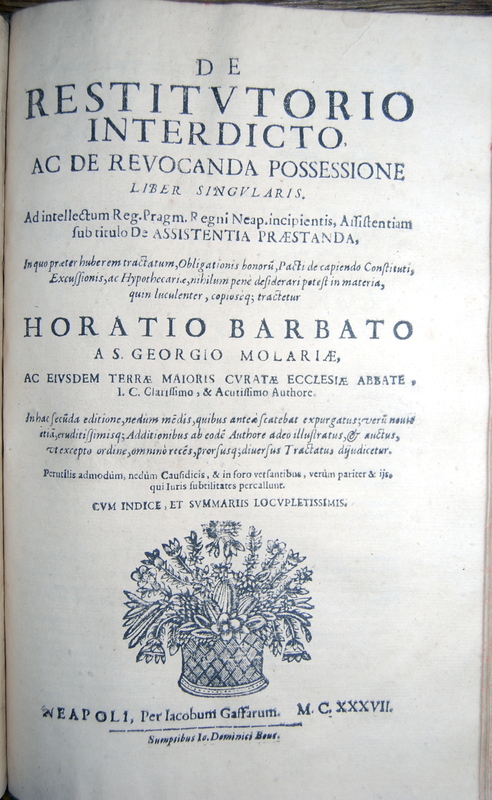 337G Novari, Giovanni Maria & Barbato, Horatio. 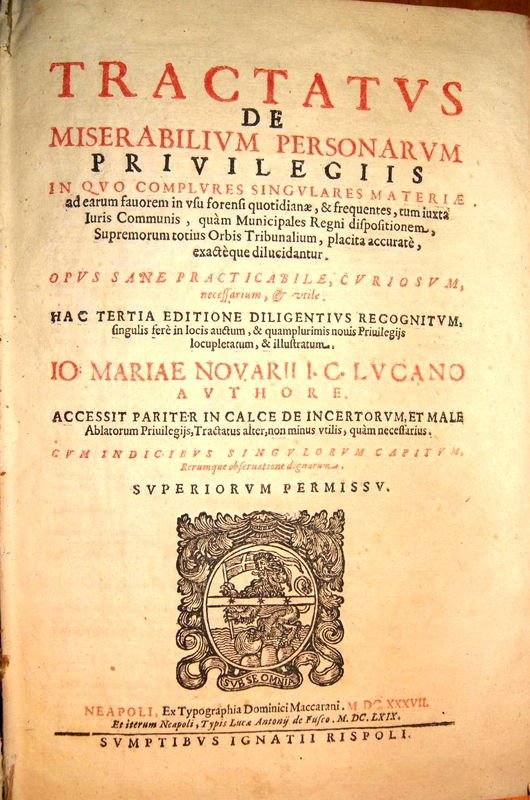 Tractatvs de miserabilivm personarvm privilegiis, in qvo complvres singvlares materiae ad earum fauorem in vsu forensi quotidianae, & frequentes, tum iuxta iuris communis, quam municipalis regni dispositionem, supremorum totius orbis tribunalium, placita accuratè, exactèq; dilucidantur :opus sane practicabile, curiosum, necessarium, & utile. These three folio volumes are bound as one in 17th century full green reversed calf, the spine has been eroded, but the binding is strong and solid. These three books relate in more than a local way,they all deal with ‘material rights’. 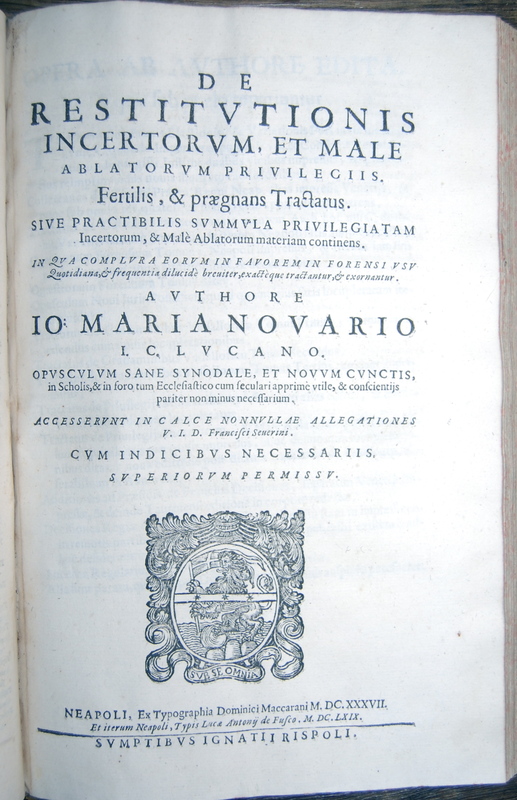 The first, poor law, the second wills and the third is on restitution of property. General Notes Ital. Jurist im 17. Jh.